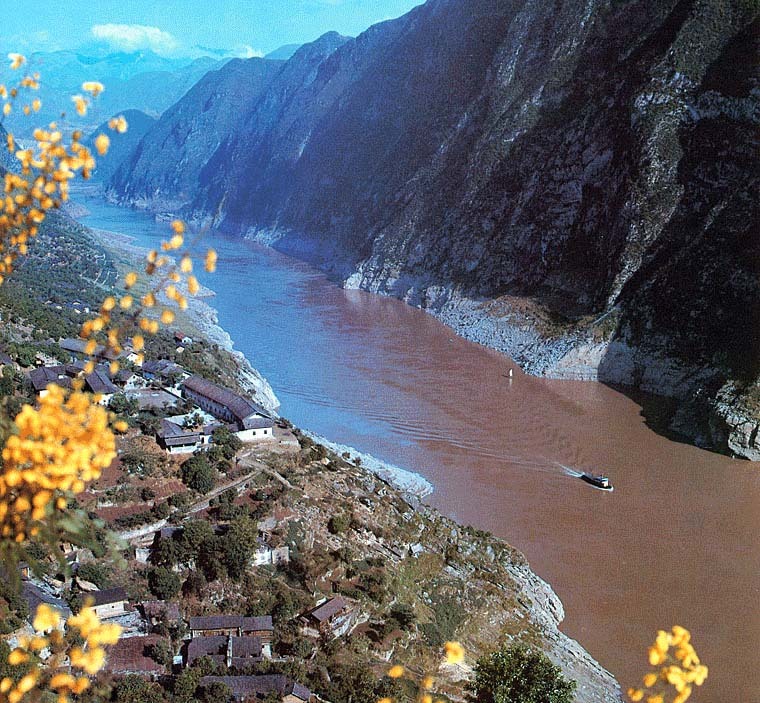 The Wu Gorge is the second gorge of the Three Gorges of Yangtze River and is famous for its elegance. Winding over 25 miles, it starts from the estuary of Daning River (east of Wushan) in the west and ends at Guandukou in Badong, Hubei Province. Also called Da Xia (Large Gorge), the Wu Gorge is comprised of Golden Helmet and Silver Armor Gorge (Jinkui Yinjia Xia) and Iron Coffin Gorge. As strange peaks, grotesque rocks as well as fog and clouds surround the gorge, it is usually the most notable of the three gorges. Because of the long and deep canyons in the Wu Gorge, the daily period of sunlight is short which impedes the dispersal of air borne moisture within the gorge and so creates clouds and fog in a variety of fantastic shapes.